Are you looking for a romantic getaway with the sun, sea and sand, but don’t want to travel to the other side of the world? Liguria is located in Italy on the border with France and can offer all these things and more in less than 2 hours away by plane from Mainland Europe. 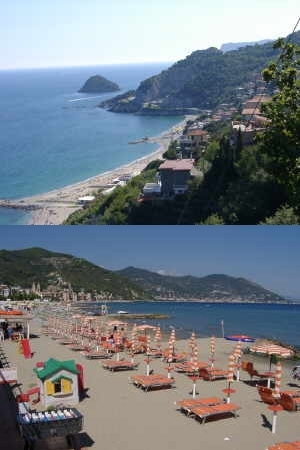 You will be spoilt for choice with the number of beaches on the nicknamed Italian Riviera. Some are rocky, others are sandy and many offer basic facilities such as showers and sunbeds whereas others even have restaurants, bars and grounds for playing volleyball. 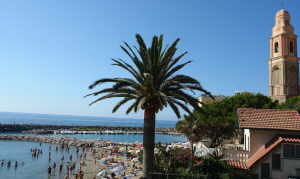 Liguria offers over 300 days of sunshine a year so the beach is a great for recreation. One of the best areas for beaches with crystal blue waters is Lerici, which also brag blue flags which certify the safety and Eco-friendliness. Romance can simply be relaxing with your loved one on the beach, and you can rest assured that this dream can come true in Liguria. 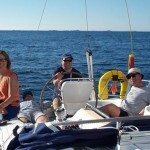 If you fancy exploring the waters, a great couple activity is diving. 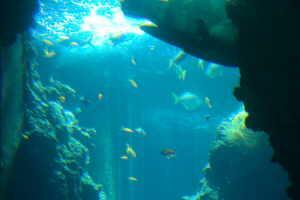 Together you can explore the underwater corals and sea life under the clear waters. You can find diving schools in the coastal areas near Genoa such as Santa Margherita Ligure and Sestri Levante. 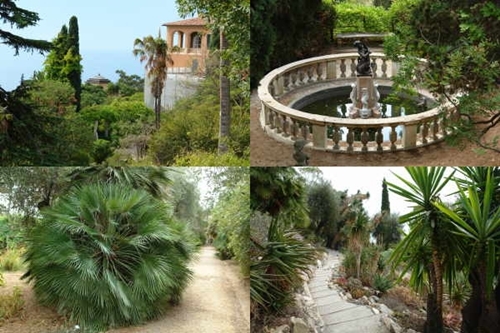 Close to Ventimiglia, this delightful botanical garden is considered one of the best in the whole of Europe. 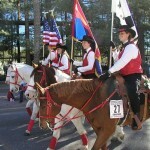 Plant lovers will enjoy the wide range to be found there including bamboo, aloe, cypress, eucalyptus as well as oranges. The layout of the park means you can take a nice stroll through the designer terraces as well as hidden paths worth exploring! Nothing says romantic more than wandering around old-world style castles and learning the history of the region. San Lorenzo Castle is a former fortress but nowadays is host to cultural events and art exhibitions as well as boasting stunning views over the Gulf of Poets, one of the spectacular coastlines to be found in Liguria. Doria Castle in Portovenere also boasts great sights of the nearby Island of Palmaria and on the plateau you will find an amphitheater where there are sometimes performances and it is even available for hire. This is an unusual activity which may not be considered as romantic, but would suit the more daring couple looking for an adrenaline rush! Canyoning typically involves a mixture of activities to move through canyons which involves climbing, swimming, jumping and abseiling. It is a slightly more obscure and sporty way to enjoy the nature of Liguria- you can climb down waterfalls, jump off cliff tops and swim in blue waters! 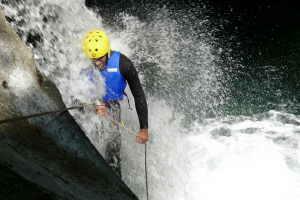 Check out La Spezia where you can find Canyoning instructors offering a slice of adventure. Renting a holiday home in Liguria for a week or two would be the ideal solution in order to sightsee across the whole region. Take part in a variety of romantic activities on offer, or just spend a relaxing and romantic time away from it all on the white and sandy beaches of the Italian Riviera!